10 years has passed since Worrells were appointed to financial planning firm, Storm Financial Limited. Since then, we have experienced a prolonged 'Global Financial Crisis', an Australian mining boom and contraction, bank-related scandals, and inquiry after inquiry into various sectors of the finance industry. The banking royal commission has certainly made some interesting news headlines, and we can't help reminisce about what we unearthed as the liquidators of Storm Financial. Readers might be interested in how they compare to the commission's findings in view of a recap of Storm Financial's demise and its influence on the finance landscape. 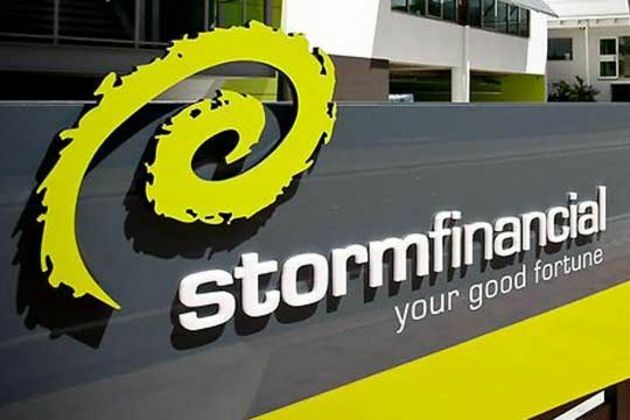 Storm Financial ran financial planning business under Australian Financial Services License from its headquarters in Townsville and 13 other major centres along the Eastern seaboard (including Sydney and Brisbane). At it's peak it had approximately 13,000 clients across Australia and an estimated $4.5B funds under management, including 3,080 clients that had invested under the unique 'Storm' leverage model. The company itself had 146 employees, including 34 financial advisors, and the Storm group (including real property holding subsidiaries) reported gross revenue of $69.9m and net assets of $13.72m as at 30 June 2008. Storm Financial had a single investment strategy for clients and its promoters said it wasn't for everyone. In fact, they often quoted only one in four of potential clients became 'Stormified' and took up their strategy of gearing-up assets (including the sacred family home paid off over a lifetime of hard work) and investing all the proceeds in the share market, often with further gearing on those shareholdings. This singular investment strategy was much maligned when the world's markets overheated and wiped out the share value, leaving behind substantial margin loan shortfalls for clients resulting in losses of homes and retirement savings. Claims totalling in excess of $100m lodged in the liquidation, primarily by clients who incurred substantial losses following Storm's investment model advice and unpaid financial advisor vendors. As liquidators, we applied for and successfully received funding from the Australian Securities and Investments Commission (ASIC) under the federal government's Assetless Administration Fund to conduct a public examination and complete a report pursuant to section 533 of the Corporations Act 2001. The public examination process was a major undertaking involving questioning of 37 witnesses and over 20 court hearing days. The loan application documentation lodged with the banks had scant financial information...some to the extent it was lucky for the client's name to be filled out in full! A couple of major banks had special divisions/branches just to deal with Storm Financial and its clients...funnily enough, these divisions/branches won their bank's internal branch of the year award for most new business! The financial advice for each client was all 'prepared' in Storm's central processing area in its Townsville office...and the authorised financial advisors seeing the actual clients in the local branches simply signed and handed over the advice without review or tailoring for the client's personal circumstances. ASIC received complaints about Storm's pro-forma Statement of Advice and Investment Strategy and had on multiple occasions during the couple of years prior to our appointment reviewed those documents however it was in mid-December 2008 that ASIC started action in respect of Storm's AFSL by way of an enforceable undertaking. Do some of these findings sound familiar to the revelations of Mr Hayne's inquiry? Except of course these are from 10 years ago! We subsequently lodged a very lengthy report with ASIC outlining these findings and several suspected offences. ASIC representatives attended every minute of that Storm Financial public examination and they were conducting their own parallel investigation. The wheels of justice are often slow moving. ASIC took legal action in 2010 against the banks �in relation to their dealings with Storm Financial and its clients. Then �in 2014 ASIC reached an agreement that the banks agree to pay substantial amounts to aggrieved clients. For reasons unknown, it then took a further three years, when in 2017 ASIC finally got a win in a very, very lengthy battle with Storm Financial's directors. A win in the sense of obtaining a court order that the directors breached their duties...however the punishment was a measly fine of $75,000 each. Not a big amount against total client's losses of over $100m. Another interestingly point in the Storm Financial downfall is in relation to its remuneration model. For some time now there has been a focus on moving financial advisors' remuneration away from a trail commission basis to a more upfront fee basis. This model was again raised for mortgage brokers in Mr Hayne's Banking Royal Commission report of recommendations handed down early February 2019. Funnily enough Storm Financial used an upfront-fee model that ultimately led to its downfall when new clients for Storm Financial dried up at the onset of the GFC.